Description: it's all black except the thorax, which is a brown that looks semi transparent when looking at it with the sun behind it. From the angle I see no distinctive markings, but it's hard to tell because of where it's sitting. The legs are slim with no hairs or feelers. I'd say the body is about the size of a grown man's pinky. With legs, thumb. 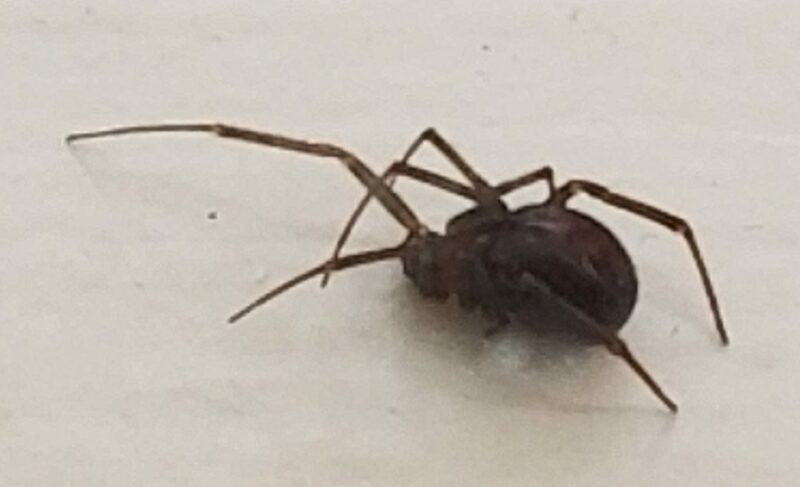 Hi, this may be a Noble False Widow, Steatoda nobilis if I’m seeing traces of a particular design on the abdomen correctly. Not positive from this image, filing to genus.